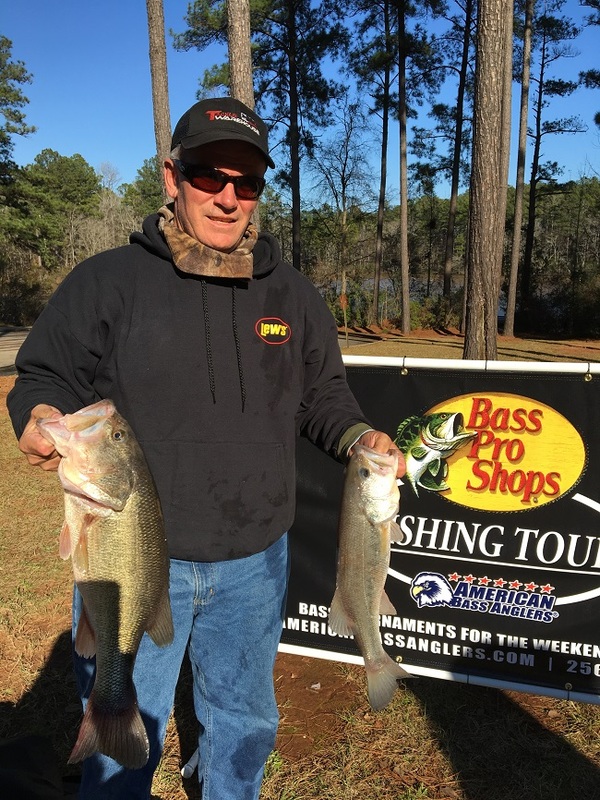 Lance Collins of Monticello, Ga took home $620 cash and the first-place trophy on January 26, 2019, at the Bass Pro Shops Fishing Tournament for D72. Lance caught his five fish limit using a spinnerbait in shallow water. His total scale weight was 18.19 pounds, and he anchored his sack with a 5.08 pounder. 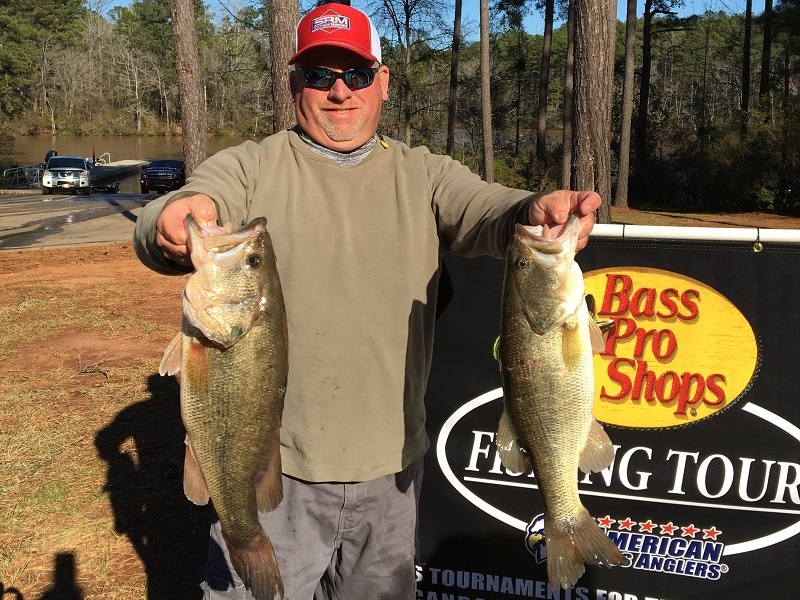 Carl Wilson of Covington, Ga brought four bass to the scale totaling 11.62 pounds which put him in second place, winning $375 cash and a trophy. Carl also won the Big Bass trophy and additional cash of $125 for the 5.44 largemouth caught on a crankbait. He was happy to take home $500 cash and two trophies for a day of fishing! 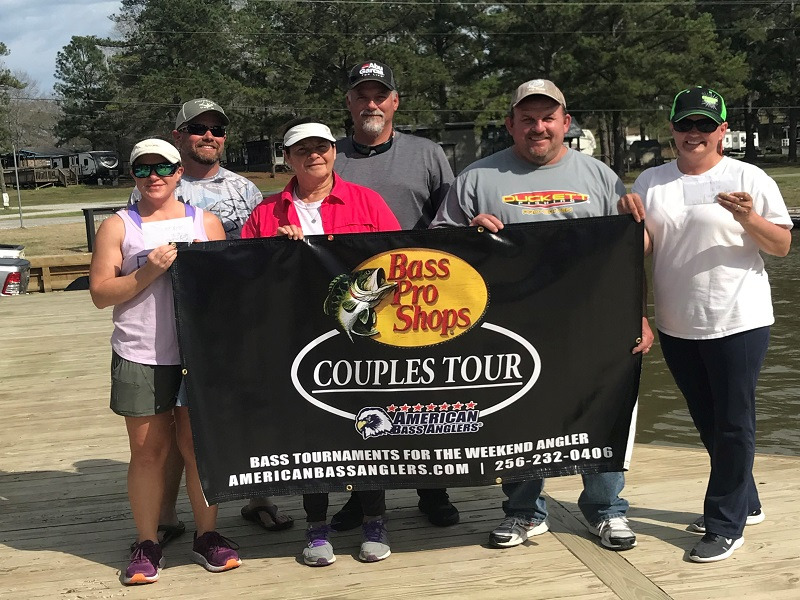 Brad Stalnaker won the third place trophy and cash of $130 with a total weight of 11.23 pounds. 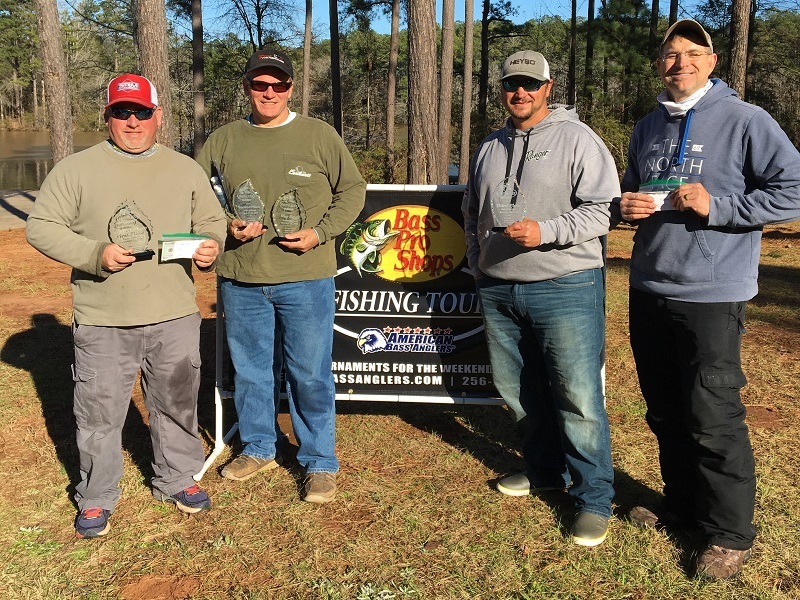 Barry Stokes rounded out the money winners in fourth place, winning $101 with a weight of 9.07 pounds. There were 25 anglers that endured the sub-freezing temperatures, and several had boat equipment issues due to the cold temperatures. But once the sun came up, everything started to thaw, and conditions improved. After the awarding of trophies and cash payouts, there were drawings for the anglers present. Two $50 bills were won by Damian Hall and Lee Harrison. A T-H Marine trolling motor handle was won by James Golden, and Carl Wilson won an 8-ounce bottle of G-Juice. Thanks to Danny Taylor for assisting with morning boat checks, and weighing fish in the afternoon. 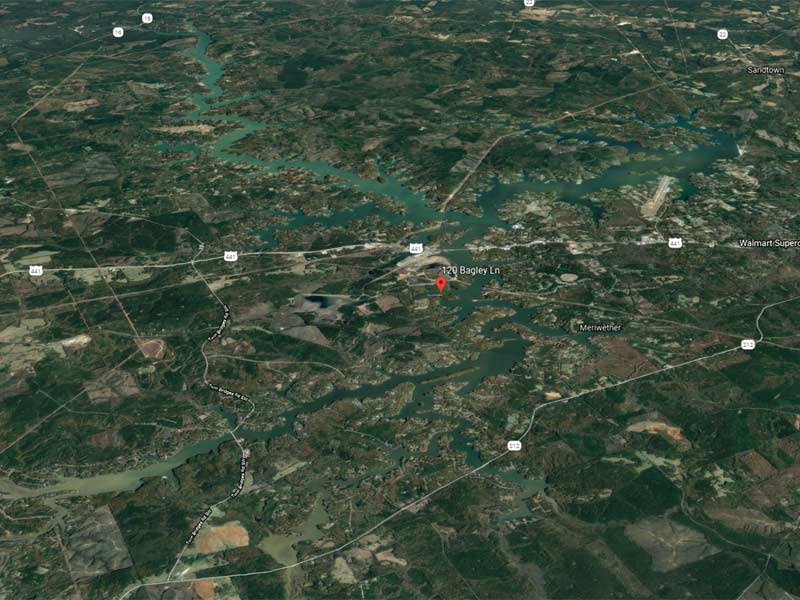 The next tournament for D72 will be February 9, 2019, on Lake Sinclair going out of Dennis Station DNR ramp.